Mary Ferbee Henderson was born on May 13,1923 to Otho and Vandelia Upshur Ferbee in Seaview, Virginia. She attended the public school system in Northampton County. She resided in Cheriton, Virginia until she decided to move to Maryland with her family in 1981. In, 1943, Mary married Willie Henderson, Sr. and from this union, they were blessed with 5 children. She was a loving and nurturing mother, raising her children while working full-time as a homemaker. She was an excellent cook, creating recipes, and turning any creation into a gourmet meal. Mary accepted Jesus Christ as her Lord and Savior at an early age and was baptized at African Baptist Church in Cheriton, VA. She was truly an astute student in God’s word, attending Church, Sunday School, Bible Study and Vacation Bible School faithfully. Mary enjoyed listening and witnessing to others, sharing the importance of receiving salvation and developing a personal relationship with Christ. She was an avid prayer-warrior who would frequently visit and pray with those who were sick and shut-in, and was often called upon by family and friends to pray. Mary was witty and had an answer for “everything” and “everybody”. And no matter who you were she would speak her piece. She was also a great advocate for those who could not speak up for themselves. God blessed her to be here for 95 years. She enjoyed spending time with her children, grandchildren, and family and friends, always giving them sound wisdom and great advice. When someone walked in the house and asked her how she was doing, she would alwas say “I’m here in you young folk’s way”. How BLESSED we were to have had her here for so long! She was preceded in death by her brothers David Upshur, Otho Ferbee, Samuel Ferbee; sisters, Vandelia Robinson and Sarah Weeks; her son, Willie Henderson,Jr. ; and granddaughter, Jacqueline (Jackie) Henderson. 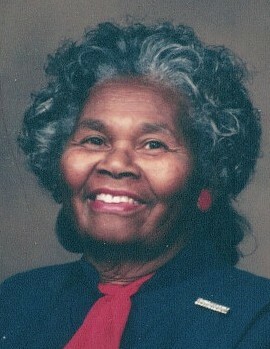 She is survived by her four daughters, Mary Spady and Ella Sims of Albuquerque, New Mexico; Hattie Henderson Thomas of Upper Marlboro, Maryland; Audrey Sarratt(Keenen)of Bowie, Maryland; her “youngin” MaryKay Stainback; seven grandchildren, Tracy Henderson, Nkill Sudah(Tariq), Terry Sherriff, Jacquella Houey(Terrence), Michael Henderson, Kendra Sarratt and Rodney Thomas; fourteen great grandchildren; three great great grandchildren; and host of nieces , nephews, cousins; and many very special friends. Whether Mary was called Mom, Mama, Grandma, Aunt Mer, Ms. Mary/Mer, Mare, she provided prayer, wisdom, joy, and comfort to many; and she will be truly missed.